Introducing the first natural motion hiking shoe from Salomon, this beauty is called the Synapse. With excellent cushionshing and a just the right amount of flexibilty this shoe lets people run their hike. Although this shoe is not a specific running shoe it performs great on a varity of all surfaces thanks to the Dynamic Traction Technology. The outsole is equiped with a combination of multi-directional lugs and reversed lugs to help maitain traction in any sort of terrain. The outsole also has a high abraison rubber compound which will grip everything you put your feet on. I tested these bad boys out on a race called the Jupiter Steeple Chase, it is a 16 mile race which goes to the top of Jupiter Peak and back. I wasn’t racing it so I decided to hike it with my 23 year old godfather who carried a 50 pound pack in training for the military. I had these shoes on and not once did I feel like I was going to slip, I had perfect traction the whole way through. I instatly loved these shoes and use them anytime I go on a hike. Now lets get to one of the other great features of this shoe called Dynamic Rolling, a high heel drop creates this rolling which helps you feet go faster than if they were in a regular running shoe. I think this really helped during the race because during the downhill I felt like I was going fast than I normally would, so I owe my fast descent to the Dynamic Rolling this shoe provided. This shoe has excellent cushioning due to the a feature called Dynamic Ride, this is a light OS Muschle providing flexible cushioning so you can hike/run in comfort. If you look at the outsole you will notice two white stips running along the outsole, this is called the OS Tedon which adds rebound in each stride. Although the outsole of this shoe looks completely different than some of the other Salomon shoes the upper is completely Salomon. Salomon takes pride of their quick lace system which is used to get a persise fit and to avoid stopping on the trail to redo your laces. This system is basically like laces until you come to the ends where you tie it, both ends are fed through a mechanism which you can move up and down put when you got your laces tighten just perfectly you let got of the button and tuck the laces into the built in lace pocket which is located in the tounge. What different on this upper than most is the metal grommets, from use I think these grommets will last longer than most because of their durable build. Another signature feature of this shoe is the sensifit technology which on almost everyone of the Salomon shoes. The sensifit technology is the pattern you see on the side of the shoe, it is a special material that is heat welded to the shoe and the grommets are placed on top of them to offer a pressise fit when tigthened. This means that your foot won’t be sliding around in the shoe and that you can enjoy a great hike/run. I have probably put around 75+ miles on these shoes and I was a little dissapointed to see that the forefoot traction was beginning to wear quickly. But other than some of the traction on the forefoot wearing away the rest of the shoe is in great shape and is still offering great traction. Personally I love the fit of the Salomon shoes and I felt that these shoes had a snug and percise fit and that they are very comfortable. 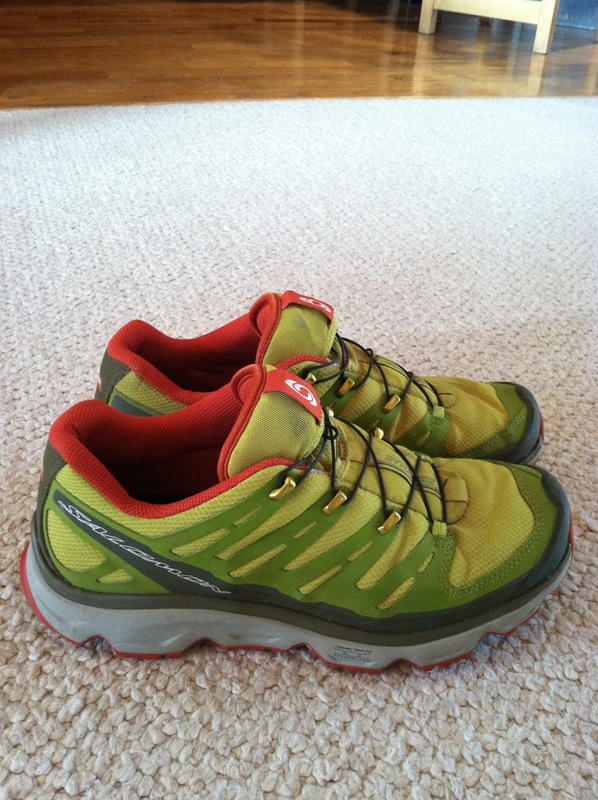 So if you are looking for a natural motion hiking shoe, this is the one for you! Hello! I would go a 1/2 size up! 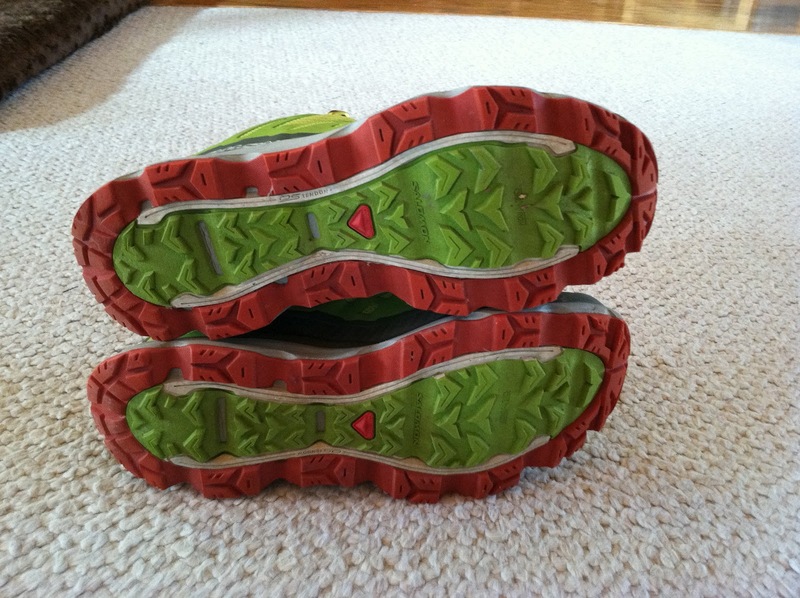 So for example go to a 11 1/2 because as I have found I need a half size up in most salomon shoes especially the synapse! Thanks a lot ! I’m gonna use it in the Pyrenees in a few weeks and give you a feedback here. Your welcome! Have fun, love to hear your feedback! 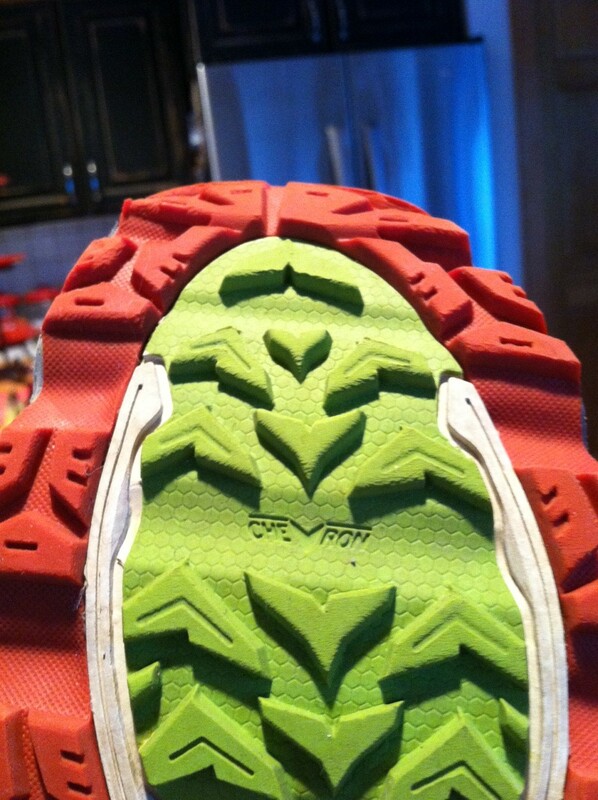 Question for PCTrailrunner regarding the Solomon Synapse: I’ve read that the traction on hard surfaces is poor. I am considering buying this shoe for the 26-mile “Megatransect Ultrahike.” It is mountainous terrritory (for PA anyway – 5000’+ elevation gain) and is very rocky. I’m concerned about traction on the rocks. There is a 3/4-mile long climb up a boulder field in one stretch and a few other boulder sections. On the plus side, the boulder sections are mostly sandstone so not as slippery as some less porous rocks. After living with your Synapses for the better part of a year, what are your thourghts? First of all, the Synapse have an huge traction ! Sometimes too much : if you forget to rise your feet above roots for example, be carefull !!! You’ll be stop in the second ! I tested it on rocks of various angle, dry or wet : I never had better traction with other shoes ! That’s simple : during all my trip, I had never slide on the trail ! Other thing that make me reconcile with Salomon : they fit well. For a few years, I’ve become to dislike Salomon shoes because they fit to tight for my feet. Not these, wich are really confortable : when other put their shoes off during a break, you just have to loosen your Synapse and you’re so fine ! Durability : I did only something around 150 km with mine, but almost on very bad rocky trail. They’re like brand new ! Trail running use : after my walking days, I liked going for a little jog on the tracks. Too good ! My longest one with the Synapse is 1 hour, and it was just fine. They’re light shoes (when I saw them the first time, I have thought they were really clean, simple). But you won’t find the same support than with a more specific shoe like the XT Wing. So I’d say than running with these shoes is not for beginners or people with weak ankles ! In conclusion, I love these shoes. The Synapse is and will be my hiking shoe for a long time ! It has all what I’m looking for.